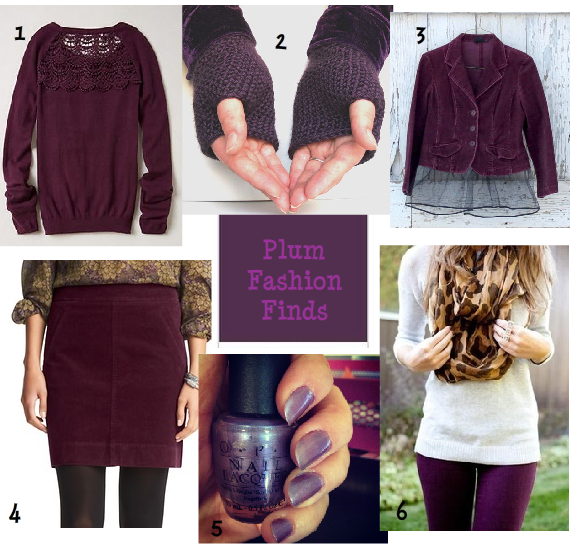 One of the colors I have been watching this fall is plum. It is Everywhere! 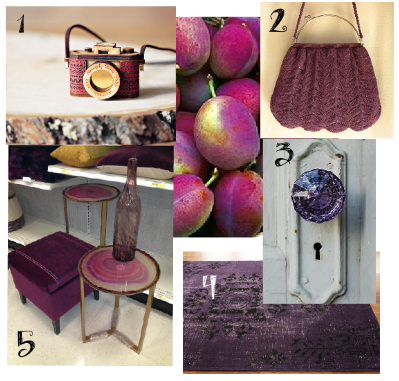 I think we are all going plum crazy! 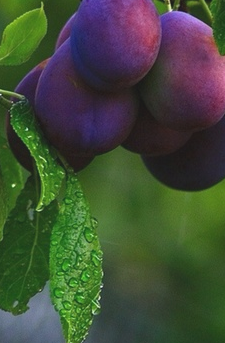 While you still see bright colors, purple has merged into a much deeper tone. This color pairs well with brights and darks alike. Since the monochromatic look of umbrae is in, this fading from dark to bright is an intriguing color combination. This is a room I did for one of my favorite clients. We used plum bedding and set it off with a sunkissed sherbet wall color, leafy green hand-painted night stand, and various bright pinks and purples. This office from Scandinavian chic blog really shows how elegant various shades of plum can work together with the grays and golds. 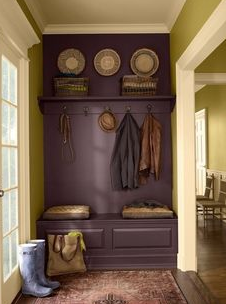 This mudroom accent is a beautiful shade by Sherwin Williams called Expressive Plum. The designer, Laura Love from dishfunctionaldesigns.blogspot.com used a striking sage to compliment while the plum rug carried the various shades through the space. Beautifully done. 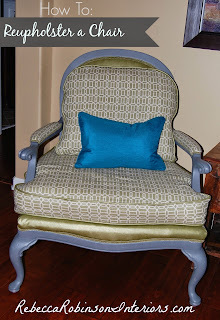 This room was done by Anne Hepfer Designs. 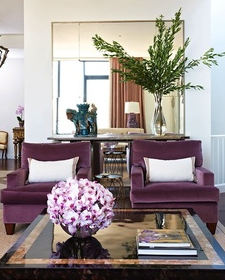 The plum chairs paired with crisp white pillows make for a clean pop of color. 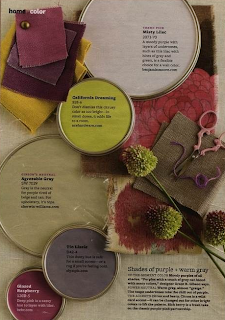 The fashion industry is also seeing a lot of this beautiful color range. 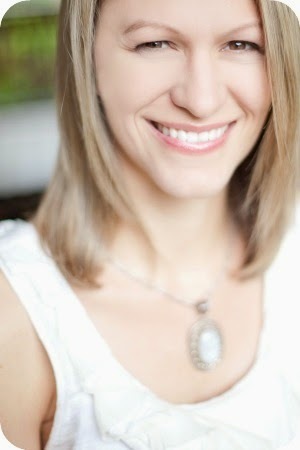 Below are some of my favorite finds. 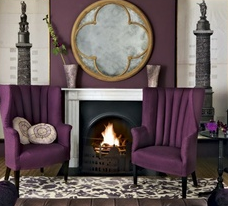 The plum shade of purple is elegant, sophisticated and dramatic. I have made room for this color in my closet, now I just have to find other places to bounce it around.